Item Name Wall Mounted Cigarette Display Cabinet. Size Layer and Pusher are Customized. Righting Color White or Custom. Logo print Silk screen ,UV , Engraving, etc. Installation Desktop or Wall Mounted. OEM /ODM we accept OEM and ODM. 1. 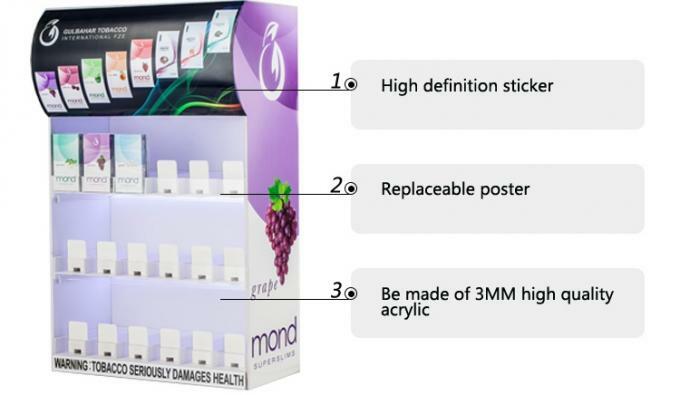 Rich Experience in Cigarette Display rack Design & Manufacture. 2. Fast Delivery, Efficient Communication. 3.Hign Quanlity Pushers,Each Pusher pass over 1,000 times of Tests.